Today’s guest post is by Hannah McMahan. Hannah is homeschooled along with her three younger siblings. She lives on Copper Island in Barkley Sound, B.C., Canada where her family maintains a summer camp for First Nations children and youth. Hannah loves to worship God through music, draw and paint nature, spend time with people, and read historical fiction novels. 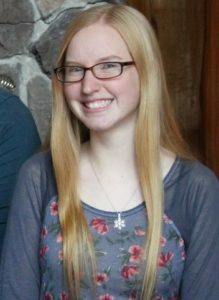 She will go to a Christian facility on another island off the coast of Canada for further education in the fall. This is one of Hannah’s term papers for the year. She has the promise to be a good writer. All authors’ lives shape what they write. 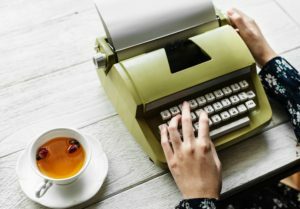 All types of writing, including non-fiction and historical fiction, are affected by who authors are. When authors write nonfiction, their various points of view of facts on the same topic may be expressed differently. (Haberling 316) These distinct expressions of facts are because of varying mindsets and knowledge that different authors possess. The specific tones and goals Mrs. Lampos brings to her writing enrich her work and make it unique. Mrs. Lampos is passionate about writing because it is a way of reaching out to people. When Mrs. Lampos was struggling as a young person, biographies of young people who overcame difficulties helped her to overcome her own difficulties. Teachers reached out to her, supported her, and prayed for her throughout her childhood. (Lampos, Children 89) The impression teachers had on Mrs. Lampos’ life led to her compassion as a teacher toward her own students. Mrs. Lampos was a school teacher for emotionally disturbed/behavior disordered youth for 26 years. (Lampos, Laurel) She made a difference in the lives of her students. Mrs. Lampos had a tough childhood. Mrs. Lampos used her own past experiences to write. She portrayed a situation in her book, A Mother’s Love, where there is brokenness, pain, and fear caused by living in a family with unemployment and drinking. Mrs. Lampos followed a young girl through the long-term effects that living in those circumstances had on her life, including going on an orphan train. Mrs. Lampos expressed the compassion God has given her for children needing rescuing through the story of the young girl. Mrs. Lampos used real-life tough situations as resources to inform and encourage others in her fictional depiction of the orphan trains. Mrs. Lampos writes about the topic of homelessness and orphans in many of her books. She seems to find stories of orphans and ‘hone in on them’ (Lampos, Friend). God is working through the brokenness of Mrs. Lampos’ childhood as He puts it on her heart to share amazing stories of lost and abandoned waifs who are given life and purpose. Mrs. Lampos was able to enrich her book, Dust Between the Stitches, by using a setting she lived in for the first seven years of her life; Colorado! She does not remember much from those early years, but she says that the dust storms did not seem significant because it was “just the way things were.” (Lampos, Friend) Mrs. Lampos’ mother told her stories about what life was like during the dust bowl. She also had eight years of letters about ordinary life from the 1930’s. She says the letters were, “a great insight into the fears, problems, and hopes of the common person of that era. Priceless.” (Lampos, Friend) These resources helped Mrs. Lampos to get a firmer grasp on what it would have been like to live in Colorado during the great depression. Many aspects of Mrs. Lampos’ life impact her writing. Not only physical aspects such as personal experiences, locations she has lived, and her job. Her mindset, worldview, and passions seem to guide what she puts on paper. Mrs. Lampos is passionate about writing and speaking. If there is one thing that reoccurs more than any other when you read her historical novels, it is stories of orphans or abandoned and needy children. Mrs. Lampos used a real example of poverty, boys sleeping on rooftops because they had no place to stay, both in her non-fiction book, Rescuing Children, and her historical fiction novel, A Mother’s Song. She did not just highlight the giddy and cheerful aspects of children getting placed in loving homes. Many families who received children from the orphan trains wanted them more for chores than to love and cherish them. 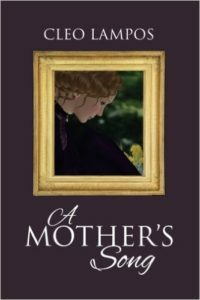 In the first part of A Mother’s Song, Mrs. Lampos delves into the heart of a mother who, during the great depression, gave her children up for a better chance at life. “No mother should lose her child because there is no food, no housing, no job, no dignity.” (Lampos, Song 118) Mrs. Lampos writes through Ava Rose’s point of view in the second part of A Mother’s Song about how it is a struggle with not fitting in because of being adopted. It also portrays the tug on Ava Rose’s heart toward both her birth family and adoptive family as being tough to deal with. Mrs. Lampos portrays how the children from the orphan trains, including Ava Rose, longed to be loved and valued but despised pity. Each story in Mrs. Lampos’ book, Rescuing Children, allows your mind to glimpse what it may have been like to stand up for justice in the past. This exposes how important it is to fight to protect orphans and waifs in the present. It appears that Mrs. Lampos writes about tough historical topics because her passion to research and learn about these circumstances drives her. Mrs. Lampos writes about both the beauty and the horror of the past. She gives details not just on the wealthy controlling factors of the time, but she also writes about the foreclosing homesteaders, immigrants “scratching out a living.” (Lampos, Dust 177), and the communities without hope wishing for a second chance. Mrs. Lampos is fervent about revealing the injustice of the past to convict others about what we can do about those in need in the present. Mrs. Lampos portrays how the hope for a better life never happened when the Irish came to America. Too many immigrants came, and not enough jobs were available. The jobless and hopeless men got drunk instead. Mrs. Lampos tells the unfair stories of Hoovervilles, Orphan trains, and Residential Schools. Her heart breaks for all the injustice and she shares the heartbreak with others through her writing. Mrs. Lampos is grateful that when her audience reads about history they also read about faith in Jesus. Her novels contain lessons on how to walk in faith. She hopes people will be encouraged to “hang in there.” (Lampos, Friend) Each chapter in Rescuing Children is different, but the biographies all have a distinct similarity. 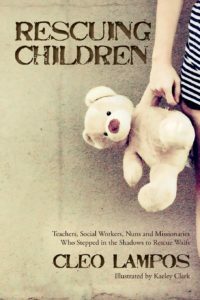 Each story contains an individual who, in their own unique calling, rescues children. Each chapter shows how important it is to make a difference, in one small way at a time. Mrs. Lampos’ worldview builds upon her writing to make it not only entertaining, but God-honoring as well. When Deirdre, the mother in Mrs. Lampos’ book, A Mother’s Song, was discouraged, her neighbor said, “We are at war Deirdre. Satan wants to distract, discourage, and destroy our relationship with God.” (Lampos, Song 25) The neighbor then went on to explain that God was and is with Deirdre. Deirdre gave her heart to God and though her circumstances remained the same, her heart was changed. An analogy used by one of Mrs. Lampos’ characters in A Mother’s Song is that we are quilts. God takes us, tattered and torn, and makes our scraps beautiful. (Lampos, Song 163) She also illustrates that God is the Father we need when our earthly father cannot give us the love we long for. 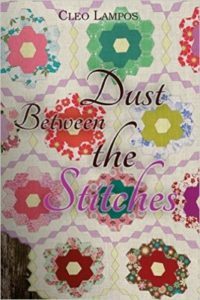 In Dust Between the Stitches, one of Mrs. Lampos’ characters, Addy, goes through hard times. With her family by her side, Addy learns that Jesus is really with her and cares about her. 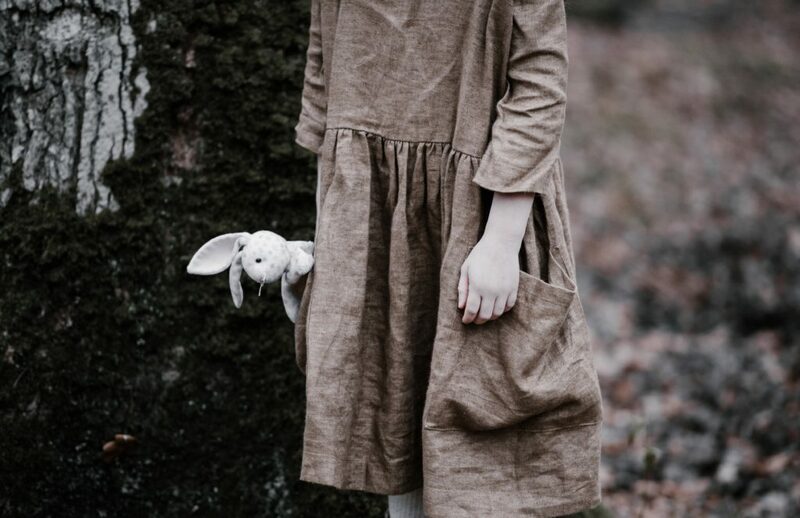 Addy’s grandmother said, “Don’t pray to be sheltered from dangers, but to be fearless when facing them.” Each of these instances from her books reflect Mrs. Lampos’ worldview and construct the storylines with truth and meaning. “The experiences of early years created this writer who delves into the issues of child rescuing and second chances.” (Lampos, Laurel) God gave Mrs. Lampos passions and abilities to glorify him. He prepared her for the difference she is making in people’s lives today. Who Mrs. Lampos is and thus who Jesus is shines through the paper-thin pages of her books. I have really enjoyed dialoguing with Mrs. Lampos and getting insight into both her books and her life. I have had the chance to dig deeper into her books than I would have if I had just been reading for pleasure. Through this study on Mrs. Lampos’ books I have gained a better understanding of how God can use me in ways I do not even know yet and that he has a unique purpose for me to minister to others. Lampos, Cleo. Dust Between the Stitches. Penoaks Publishing, http://penoaks.com, 2016. Stepped in the Shadows to Rescue Waifs. Illustrated by Kaeley Clark, 17 October 2016. Lampos, Cleo. A Mother’s Song. www.cleolampos.com, 11 May 2017. English Language Arts In Big Fat Notebook. Copyright 2016 by Workman Publishing Co., Inc.
very nice description of my friend who is made her life a diamond in rough.